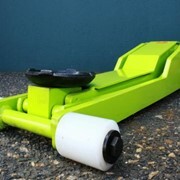 Brilliantly designed the ultimate lightweight housekeeping solution. 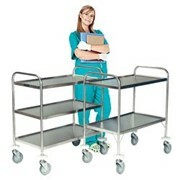 The Rubbbermaid cleaning, housekeeping and janitor trolleys are ideal for use in hospitals, nursing homes, shopping centres and hotels. 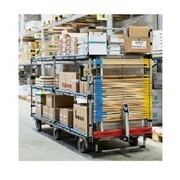 The carts feature a smarter design that provides superior manoeuvrability without compromising overall storage capacity. 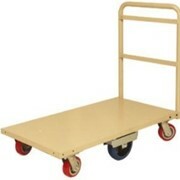 * Lockable cabinet doors on both sides of the cart. 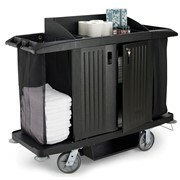 * It Includes two removable 10 Quart 6-bottle Disinfecting Caddies. 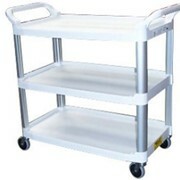 * It has a non-rusting and easy-to-clean aluminum and structural web plastic construction. 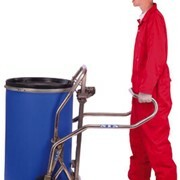 * Lobby Dust Pan/Vacuum Holder. 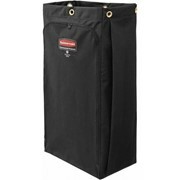 * Includes one heavy-duty zippered Compact Fabric Bag with waterproof PVC lining. 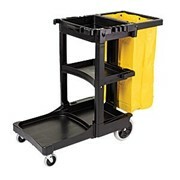 * Have been designed to hold pails, caddies, storage bins and cleaning items. 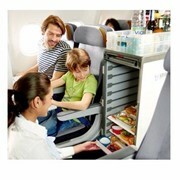 * The flexible storage design allows easier organisation of amenities. 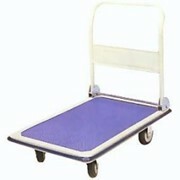 * They are janitor carts with ergonomically designed handles to improve grip and manoeuvrability. 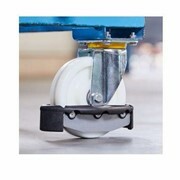 * Smooth movement is provided by the 100mm castors and 200mm wheels. 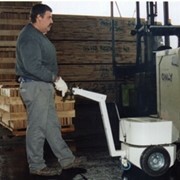 www.reflexequip.com.au or use the e-mail feature below and one of our experts from the Reflex Materials Handling and Storage team will respond to your enquiry quickly and professionally. 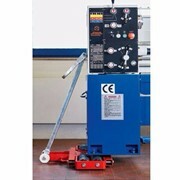 - Has a locking security hood with access from both sides. 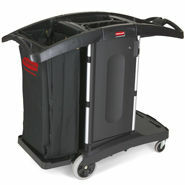 - Includes two zippered black heavy-duty fabric linen/ waste bags. 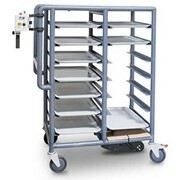 - Is designed to hold 1 Slim Jim waste container (max capacity of 87L). * one locking cabinet kit.